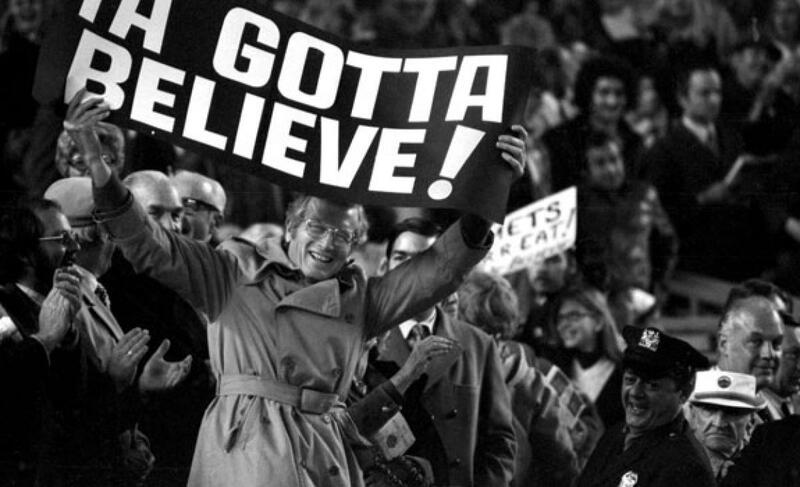 Links and Notes: Papelbon, Harper, Nitkowski | We Gotta Believe! The 2015 regular season is winding down, and 6 teams have clinched postseason spots. The Mets and Royals are the only two teams who have clinched a division title, while the Cardinals, Pirates, and Blue Jays have clinched postseason spots. The Cubs have clinched a wild card spot. Competing for the final four spots (in order of likelihood) are the Yankees, Dodgers, Rangers, Astros, Angels, Twins, Giants, and Indians. With the Dodgers’ 3-2 loss to the Giants in extra innings last night, the Mets currently hold a 2 game lead for home field advantage. The Mets hold the tiebreaker, having won the season series 4-3. Therefore, the Mets’ magic number to clinch home field advantage is now 4, with 6 games to play. The Dodgers’ magic number to clinch their division is 2, but they are playing 3 more head-to-head games against the Giants. A win by the Dodgers in any of those games would clinch the division. The Yankees’ magic number to clinch a postseason spot is 3. St. Louis has a magic number of 2 to clinch the Central, but has two more head-to-head games against the 2nd place Pirates. The Rangers’ magic number to clinch the AL West is 5. For anyone living under a rock, the Washington Nationals once again made headlines, and not in a good way. After his failure to run out a flyout to left, Bryce Harper was confronted in the dugout by Jonathan Papelbon, and Papelbon proceeded to lunge at Harper and put him in a choke hold against the dugout wall. To make things even more bizarre, while Harper left the game, manager Matt Williams left Papelbon in to pitch the 9th inning (in a 4-4 tie) and proceed to blow the game. Williams later said he didn’t realize the severity of Papelbon’s actions, since he was on the other side of the dugout, leading Ken Rosenthal to quip, “you would think the dugout was the size of an airline terminal.” [link] Papelbon was suspended for 4 games by the team, and accepted his 3 game suspension from Major League Baseball for hitting Manny Machado last week. Therefore, Papelbon is out for the rest of the season, suspended without pay [SB Nation]. PAPELBON PUT HARPER IN A CHOKEHOLD, AND THAT IS NOT OKAY. This has nothing to do with failure to run out a popup, this has nothing to do with Harper calling Papelbon out in the media. This has nothing to do with Harper’s perceived arrogance, immaturity, or whatever. There is no ambiguity here. Analysts are over-analyzing. Papelbon choked Harper. He shouldn’t have. There should be no ambiguity. Keep your ridiculous unwritten rules, but the choke hold is simply not okay. End of story. Deadspin took Fox Sports to task on Nitkowski’s article and another article by Rob Neyer. JABO: Will Brazil be Baseball’s next frontier?